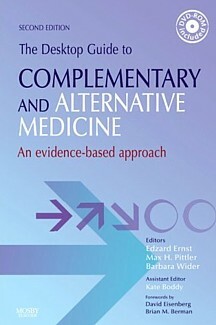 The second edition of this highly successful essential clinical reference provides concise, evidence-based information on 69 popular forms of complementary and alternative medicine (CAM), and 46 common conditions frequently treated with CAM. Each section has a clear and accessible design for quick decision-making, and includes an analysis of the most up-to-date research available. This handy reference also includes a searchable CD-ROM.